Omega at Bonita Bay is a new residential tower setting a new standard of Luxury in Bonita Springs. The building features a unique curved facade, a variety of floor plans including penthouses as well as a number of resort style amenities including a pool with beach entry, cabanas, putting lawn social room, and much more. 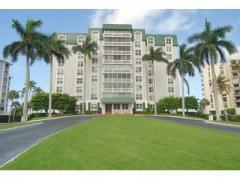 Have any comments or questions about Omega at Bonita Bay? Ask your question and/or share your thoughts about this Building.